Cari had (5) Student-Leader Volunteers “act out” what ENTHUSIASM looks like. Students jumped, smiled, giggled & shook. This led into discussion of what ENTHUSIASM is & looks like. Student responses varied from positive, energy, excited & joyful. Ms. Rincker discussed the “Domino Effect” in which this positive energy is contagious. It “rubs off” on our friends & family & strangers. “How do you feel when you’re around someone w/ ENTHUSIASM?” The students identified w/ this too. Cari then repeated similar process w/ un-ENTHUSIASTIC. Student actors had slumped shoulders & heads down. One student displayed an outburst w/ stomp on floor in disgust. The students described these portrayals as gloomy, sad & negative. Students admitted that these individuals can “bring you down.” Negative attitude & energy is also contagious. This led into conversation regarding how we can have more of it. 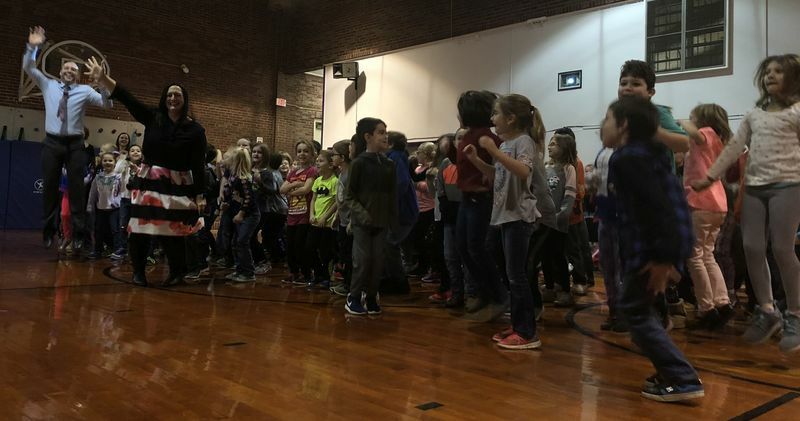 Students identified surrounding themselves w/ ENTHUSIASM as well as spreading the positive energy. She also simulated ENTHUSIASM showcased at school & home. Visualize yourself w/ your most undesirable task & how you can be more ENTHUSIASTIC. 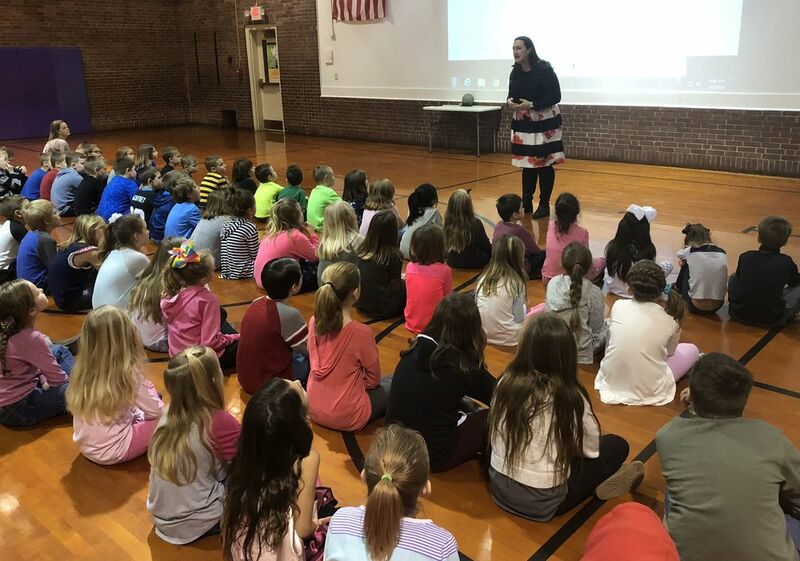 Students discussed seeing value & satisfaction in doing things for others, doing the task right away, turning it into a game or challenge and more. 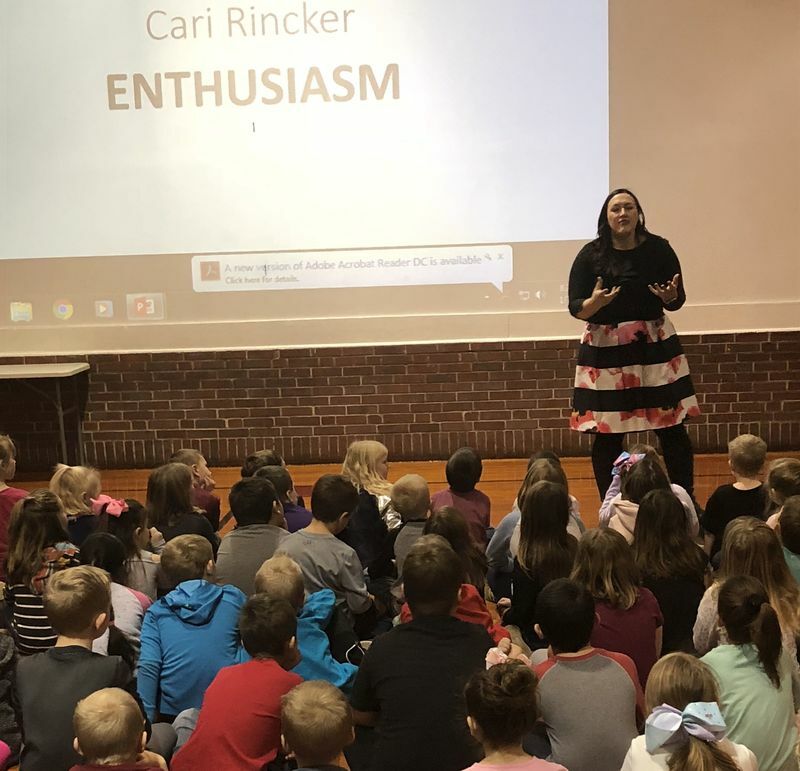 Thank you so much, Ms. Cari Rincker, for your positive message regarding ENTHUSIASM.